Nothing seems more archaic than the TWO PARTY political system in the United States. Too “chummy”. The people do not feel their representatives are even working for them. Once they get in the “clubhouse” the congressmen and senators can look forward to a lifetime career. Forget that the drafters of the Contitution expected a man (not a woman at that point) to serve their term, go home and pick their plow up again. Lots of maybe great men ran for office as independent or as a third-party candidate. Norman Thomas, Ralph Nader, Jesse Ventura, Teddy Roosevelt (his Bull Moose party would fit in nicely with the elephant and donkey). 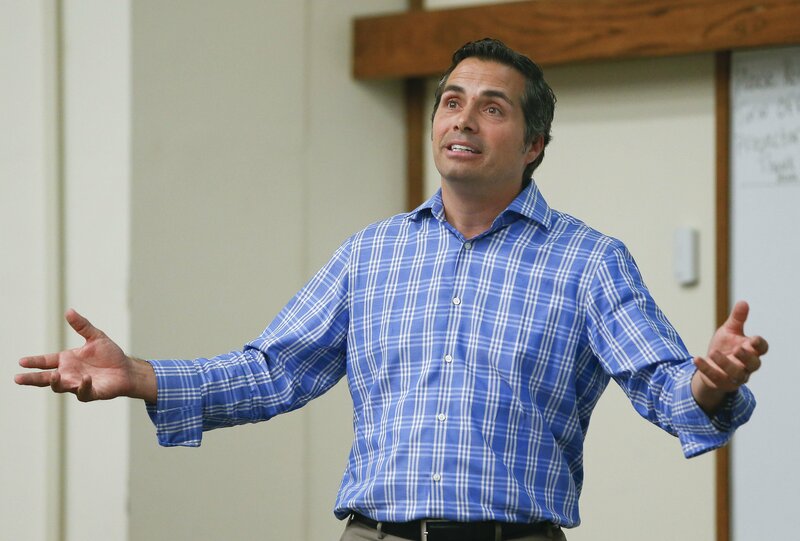 Orman is a former business consultant and clean energy entrepreneur, who is running for the U.S. Senate as an independent against the state’s powerful Republican incumbent, Pat Roberts. Orman has been described as a political enigma, which seems like a nice way of saying he doesn’t seem to know very much. A onetime college Republican and short-lived Democratic politician (he ran for the Senate briefly in 2008 before dropping out), he’s telegenic, wealthy and elusive. His central pitch is that both parties are “more interested in political games than problem-solving” and Washington is a “mess,” and other evocative stuff like that. If Orman wins, he’ll be the third independent in the Senate, and odds are he won’t emerge as any more of a genuine power broker than the other two, Vermont’s Bernie Sanders and Maine’s Angus King. Standing outside the dysfunctional two-party system can earn you some credibility with voters at home (and with those of us who disdain the idea of party fealty generally), but it doesn’t always buy you influence in an institution dominated by partisan blocs. social commitment, aiming to become a top 3 social network and a complement for Facebook and Twitter. Fairpromise is an action engine which transforms promises (ideas, dreams, concepts) into actions. Fairpromise reduces the gap between people’s expectancies and reality and offers them a platform for accomplishments and achievements of realistic goals providing innovative project and risk management tools made extremely simple to improve their daily activities (users from 5 to 100 years old targeted differently according to their age, location).